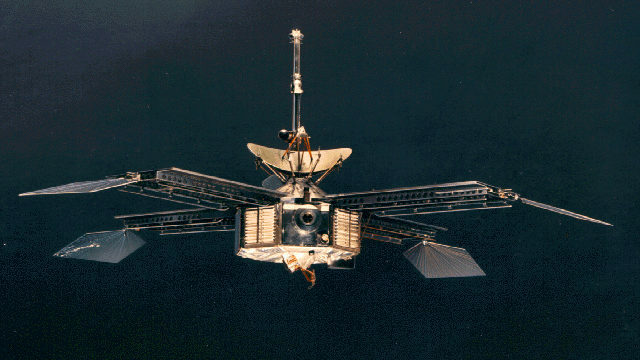 Today in 1964, NASA launched the Mariner 4 spacecraft. 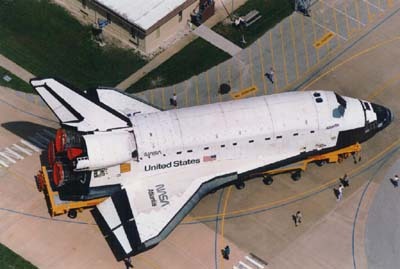 It performed the first ever flyby of Mars and was the first craft to return pictures of another planet from deep space. Today in 2001, NASA and the ESA’s Hubble Space Telescope detected sodium in the atmosphere surrounding HD 209458 b, nicknamed Osiris. This marked the first time that an atmosphere had been detected on an exoplanet (a planet outside of our Sun’s solar system). The find was predicted by award-winning exoplanet expert Sara Seager weeks before. Today in 1980, NASA’s Voyager 1 made it’s closest approach to Saturn (within 124,000 km/77,000 miles), giving us the most detailed images of Saturn’s rings that had since been seen. It also relayed new atmospheric data for both Saturn and its giant moon Titan. 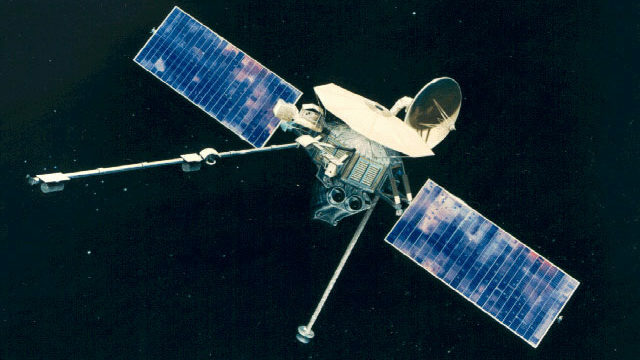 Today in 1973, NASA launched its space probe Mariner 10 from Cape Canaveral. Almost 4 months later, it became the first probe to reach Mercury, which it studied extensively. It was also the first spacecraft to make use of an interplanetary gravitational slingshot maneuver. 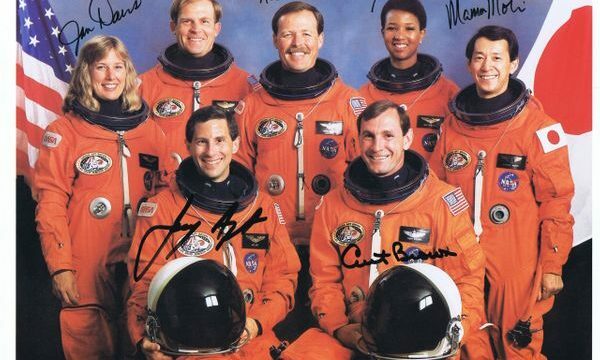 Today in 1985, NASA’s STS-51-J, the Space Shuttle Atlantis, launched from the Kennedy Space Center in Florida. 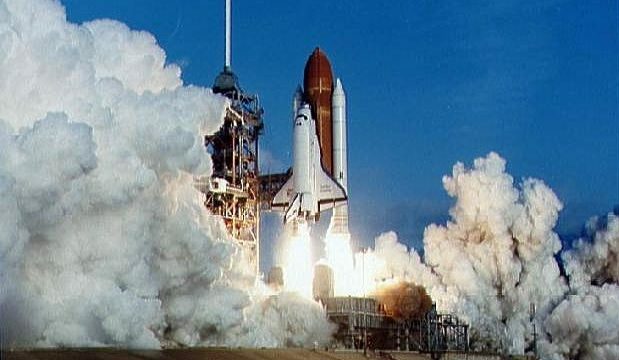 The payload was classified by the Department of Defense, but contained at least two satellites that were launched into stationary orbit. Today in 1977, NASA’s Voyager 1 took the first long-distance photo of the Earth and Moon together. 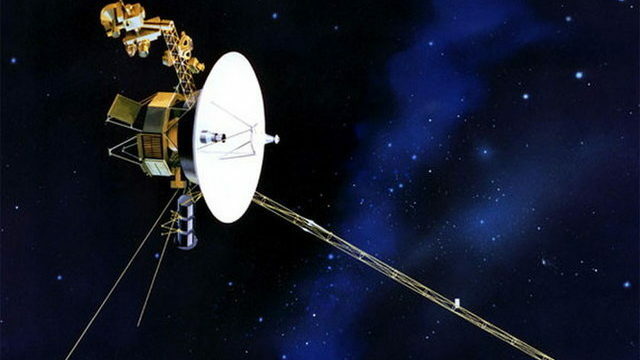 The Voyager 1 launched on September 5, 1977 ans as of this writing still remains operational. It is expected to continue gathering data until the year 2025.